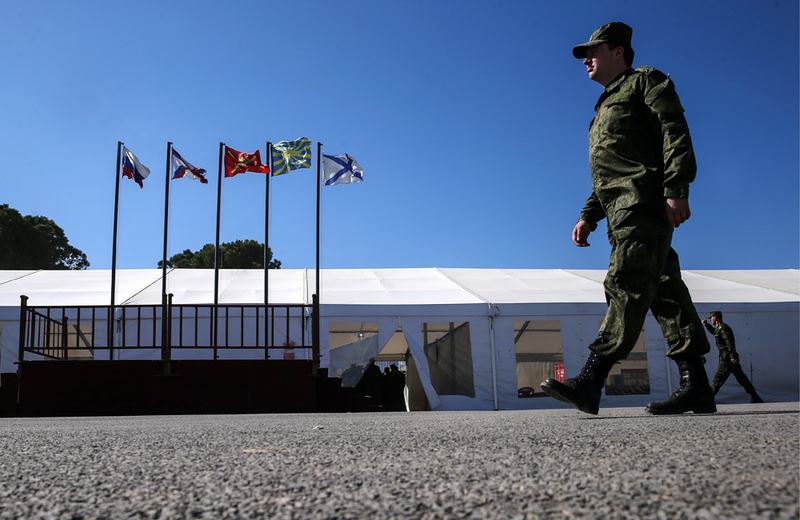 A Russian soldier at the Hmeimim airbase. The Russian Defense Ministry will be broadcasting the situation in Syria’s Aleppo live using both cameras on the ground and installed on a drone, Foreign Ministry spokesman Igor Konashenkov told journalists on Sept. 15. "In order to ensure the transparency of compliance with the cessation of hostilities regime by all parties concerned in the territory of Syria the Russian Defense Ministry’s website on Sept. 15, 2016 started telecasting the situation in Aleppo using video cameras," Konashenkov said. "Online broadcasting is already in progress from two cameras on the ground. Also, for the first time there has begun open on-line telecasting of the situation in the eastern part of Aleppo from a drone," Konashenkov said.